Anyone that has ever seen the effects of a stroke knows that they can be physically devastating. Within a day, a physically functional person can lose strength to an entire side of their body and face; leaving them dependent on caretakers or suddenly forced to spend a long period in the hospital. Though a stroke is an injury to the brain, whichever part of the brain it affects means that part of the body’s command center has been injured. In effect this severs the signal to the body, leaving muscles without direction. However, if there is something to intervene early, and assist with rehabilitation and movement, it could possibly accelerate the recovery process. The Rapael Smart Glove by Neofect is a brilliant way to engage stroke patients in movement and monitor progress. By assigning tasks to the user and simultaneously assisting them with the appropriate movements, the Smart Glove retrains the body in proper movement patterns. Through a mathematical analysis, these ‘task-training games’ are also adjusted for the user’s stroke level, ranging from mild to severe. Though still in the prototype phase, the product is a brilliant solution to assist with the challenges of retraining stroke patients. Oftentimes, though a person wants to carry out a certain movement, they are unable. A product such as this assists with carrying out the planned movement, helping to bridge the injured signal between the mind and body. The system assists with 3 vital movements in upper body mobility: rotation of the forearm, upward and downward bending of the wrist, and opening and closing the hand. The retina is the eye’s camera lens, it is a vital thin layer which holds our photoreceptors, cells which receive light signals and communicate with the optic nerve to send these signals to the brain to process them as an image. With age-related macular degeneration (AMD) and other visual degenerative diseases, the productivity and sensitivity of the the retina decreases, leading to blindness. This is devastating, to lose one’s vision is to lose touch with arguably the most important sense humans have in interacting with the world. One amazing device which can help restore vision and is slated to be ready in 2015 is the Bio-Retina by Nano Retina, a bionic retinal implant which replaces the function of an existing, nonfunctional retina. The product is a small implantable chip which attaches to the retina and is powered by its own nanoelectrodes and photosensors. Once implanted, these photosensors help to communicate with the optic nerve to restore the flow of visual information to the brain. Implanted with a procedure which takes less than 30 minutes and requires only local anasthesia, the device is said to begin working instantaneously. It is charged with an infrared beam from the specially designed eyeglasses which accompany the implant. The device’s cost is planned to be $60,000. See the video below for details. Humans are visual creatures. Of all our senses we largely rely on sight, our cues for survival rely on it and much of our brain tissue is dedicated to the process. And while all prosthetics are complex, as recreating normal physiology is extremely difficult, the eye is something else. In order for us to view an image, signals are detected from the environment in our eyes, sent along via a nerve and then flipped and processed in the brain to form an image for us to view. This is happening constantly as we move our eyes. When there is an injury that obstructs this process, blindness occurs. 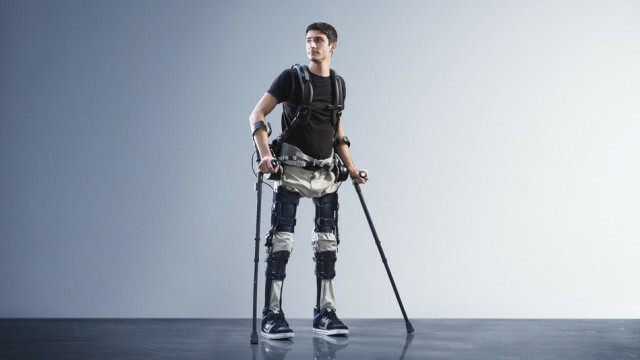 A developing category of prostheses called neuroprosthetics is finding a way to complement nervous system dysfunction and become the link between the brain, nerves, and the rest of the body. Within this category, bionic eyes are being developed to supplement neural injury leading to blindness. One such example is the development of bionic vision system from Monash Vision Group called the Gennaris. Targeted for those with blindness or a severe visual impairment, Gennaris is a two part system of headwear with a camera and an implantable brain chip. While normally we rely on the retina in our eyes to receive images and then send signals to the brain via the optic nerve, Gennaris plans to bypass this process and send the signal straight to the brain from its camera into an implanted brain chip, which will then stimulate the visual cortex of the brain which processes images. This involves some retraining of the brain to adapt to this system, but for those that currently live in the dark this offers much hope. The Monash Vision Group is still seeking funding to continue to develop this project for release in 2015, please contact them if you would like to contribute. Upper body prostheses have definitely come a long way. For those with amputations at the hand or wrist, gone is the time when the only option was a hook or some other horrific replacement. 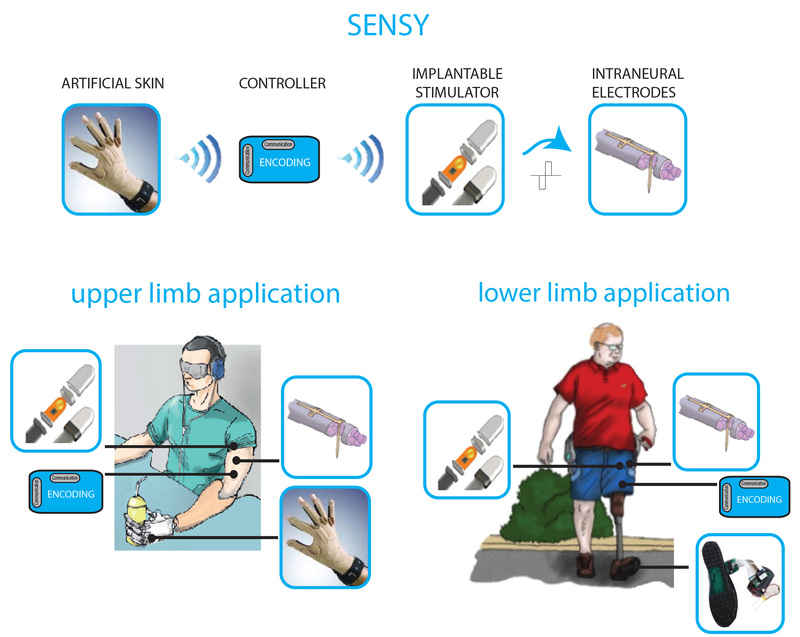 Touch Bionics is a company which makes myoelectric prostheses to replace upper body amputations at the hand and wrist. Myoelectric prostheses are a life-altering product which attach at the remaining part of the limb and are triggered my muscle signals from intact muscle. Touch Bionics has a number of products, and has recently updated their i-limb ultra bionic hand to the i-limb ultra revolution, which includes a rotating thumb and four other articulating digits for up to 36 types of grasp. A mobile app allows the control of these grip patterns, which includes 12 possible customized grips. In addition, a silicone skin-like covering is available in a number of colors to allow for improved grasp and a more skin-like feel. As we know, hands are very complex body parts with multiple joints that are responsible for numerous different movements, functions, and types of grip. To recreate these movements and try to mimic the function of human fingers, particularly the thumb, is quite difficult. While the loss of a hand naturally causes a great disability, a great product such as this allows an individual to perform a multitude of daily task such as tie their shoes, grasp a pen, or use a smartphone.